The Philippine Embassy in Moscow has facilitated the repatriation of sixty Overseas Filipino Workers from Russia from January to June 2018. This represents a 33 percent increase compared to the same period in 2017. OFWs whose visas have expired are unable to exit Russia. They seek the Embassy’s assistance in undergoing voluntary repatriation in accordance with the host country’s immigration rules. This includes assistance in interfacing with Russian police, Russian courts and immigration. Foreigners in Russia without proper documents such as valid visa, work permit, and registration are vulnerable to arrest and detention prior to deportation. Availing themselves of the Embassy’s assistance in voluntary repatriation allows Filipinos to avoid jail time. “We developed this program of voluntary repatriation precisely for our undocumented nationals to be able to exit Russia in an orderly manner and to ensure that their rights and wellbeing are protected throughout the process,” Ambassador to the Russian Federation Carlos D. Sorreta said. “It is difficult for most of our citizens to undergo this process on their own due to the language barrier and the fear of spending time in jail,” Ambassador Sorreta added. The repatriation of undocumented Filipinos is a top priority of the Department of Foreign Affairs to allow overstaying OFWs to return to the Philippines. The DFA’s Office of the Undersecretary for Migrant Workers Affairs supports Philippine Embassies and Consulates in extending assistance to Filipinos abroad. 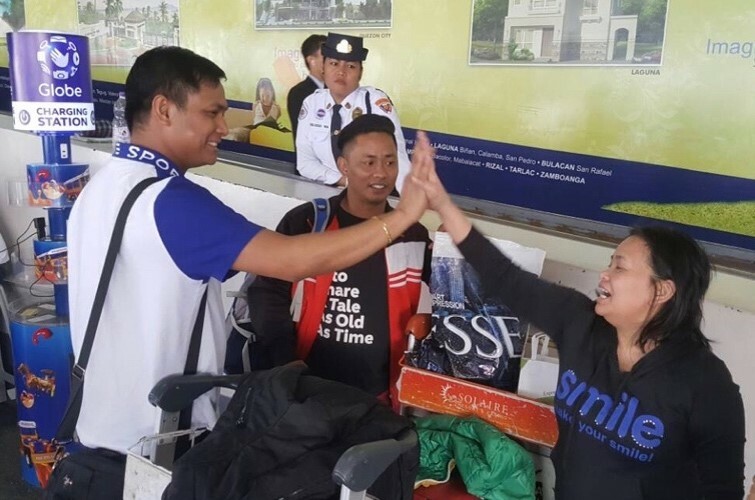 “Marami po tayong mga kababayan na gustong umuwi sa atin at magkaroon ng panibagong simula sa buhay ngunit hindi nila ito magawa dahil sila ay nagkamali at nagkaroon ng immigration violation,” said Third Secretary and Vice Consul Catherine F. Alpay of the Embassy’s Assistance-to-Nationals Section. “The voluntary repatriation program allows them to go home to be with their loved ones and plan their next steps,” she added. Aside from those with immigration violations, among the recipients of the Embassy’s assistance are Filipinos with urgent medical conditions. The service is purely voluntary and is free of charge. According to Ambassador Sorreta, the conclusion of a bilateral labor agreement that will govern the deployment of OFWs to Russia continues to be the focus of the Embassy’s OFW-related efforts. “We are working closely with our Russian counterparts on this and the proposed agreement was one of the topics discussed during the meeting between Foreign Affairs Secretary Alan Peter Cayetano and Russian Foreign Minister Sergey Lavrov in Moscow last month,” he said.